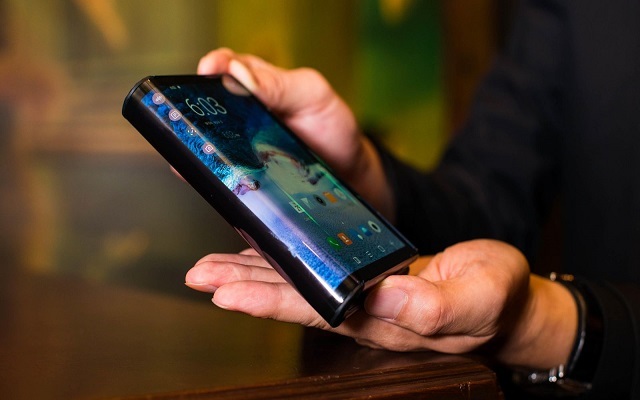 We all know that the Foldable Phones are the center of attention this year. Many smartphone makers are racing to release their foldable phones in 2019. Similarly, the tech giant, Samsung is also working to bring their most innovative design to the market very soon. Recently, Galaxy Foldable Phone’s Promo Video showed up. Samsung Vietnam posted a teaser video of the upcoming Unpacked event on its YouTube channel. However, the video was taken off. The noticeable part was that Samsung’s foldable phone was also spotted among other smartphones in that video. So, it is expected that Samsung may launch their innovative foldable handset at this upcoming unpacked event. We still don’t know the exact name of the foldable smartphone. Some claim that it will be named as Galaxy Fold, while others say that it may go official as Galaxy Flex. Together with that, the highly anticipated series, Galaxy S10 Series will also see the light on this forthcoming event. According to some of the latest reports, the upcoming Galaxy Foldable Phone will have a cover display on the outside and a foldable screen on the inside. At the SDC 2018, Samsung had revealed that the cover display of the upcoming foldable phone will measure 4.9 inches. In addition to that, it will offer 840 x 1960 pixels resolution, 21:0 aspect ratio and 420dpi. Moreover, the inner screen of the handset will measure 7.3 inches and it will produce1536 x 2152 pixels resolution, 4.2:3 aspect ratio and 420dpi. In addition to that, the phone is expected to be powered by the Snapdragon 855 or Exynos 9820 chipset. It may feature up to 1 TB of storage. Furthermore, it will come with two rear-mounted cameras. A 12-megapixel and 8-megapixel sensor will be on the cover. A 2,190mAh battery will keep the lights on. Samsung Galaxy Foldable Phone Price is expected to be around $1,800 (PKR 2,51,199).